Cinnamomum Zeylanicum is a tree indigenous to Sri Lanka which produces the highest-grade pure cinnamon. 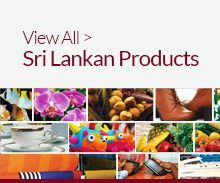 Sri Lanka is the world's largest producer and exporter of pure cinnamon to the world and pure Ceylon Cinnamon Suppliers from Sri Lanka claim 90% of global market share. Cinnamon grown and produced in Sri Lanka has acquired long standing reputation in the international market due to its unique quality, colour, flavour and aroma. With growing concerns about health hazards associated with synthetic flavoring agents in the food industry, there is an increasing preference for natural flavours worldwide. Cinnamon is used as a food ingredient in bakery products, Asian foods, and tea for its distinctive flavour and aroma. 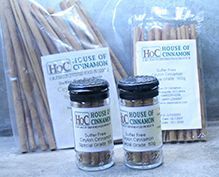 Cinnamon differs both physically and chemically to Cassia. Ceylon Cinnamon, referred to as both sweet cinnamon and true cinnamon, is considered superior to the variety known as Cassia a cheaper and inferior product. The unique method of processing and curing of cinnamon entices its characteristic flavour. The preparation of cinnamon quills involves a combination of art and skill unique to Sri Lanka and has been handed down from generation to generation. 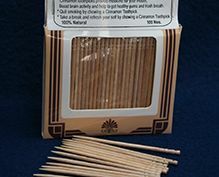 Cinnamon quills, with standard lengths and diameters are made out of Ceylon Cinnamon - grown and manufactured solely in Sri Lanka. Ceylon Cinnamon is categorised into four major grades - Alba, Continental, Mexican and Hamburg based on the diameter of the quill, where the most expensive (Alba) has a 6 mm diameter quill. Furthermore, value-added Cinnamon products such as oil, powder and tablets are also produced and exported to a large number of countries. Cinnamon is used in the preparation of chocolates especially in Mexico, which is the main importer of true Cinnamon. It is also used in many dessert recipes, spicy candies, tea, hot cocoa and liqueurs for its distinctive aroma and flavour with the growing concern on health hazards associated with synthetic flavouring agents used in the food industry. Cinnamon is also used in the pharmaceutical preparations and the cosmetic industry world wide. In the Cinnamon family, the highest grade cinnamon comes from Ceylon Cinnamon (Cinnamomum Zeylanicum), a plant indigenous to Sri Lanka. Cinnamon grown and produced in Sri Lanka has acquired a long standing reputation in the international market due to its unique quality, colour, flavour and aroma. The name Ceylon Cinnamon derived from the country’s former name and is an established geographical indication for Cinnamon. Sri Lanka is the world’s largest producer and exporter of cinnamon. The country produces almost 90% of Cinnamon produced to the world-market. Cinnamon is the most important and valuable spice produced in Sri Lanka. At present Cinnamon is widely used as a food ingredient as well as in pharmaceutical preparations and in the cosmetics industry worldwide. High in antioxidants, it is considered a product which is good for overall health. 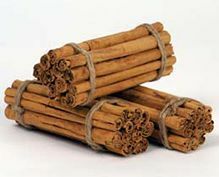 Volatile oil of Cinnamon is widely used in perfumes, cosmetics and scented exotic gifts. 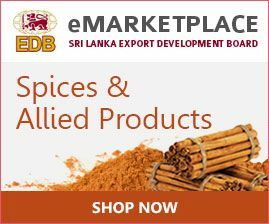 Cinnamon originated in Sri Lanka has all the positive characteristics of a brand.The Sri Lanka Export Development Board (SLEDB) has established ‘Pure Ceylon Cinnamon’ as a global brand in the international market. USA & Mexico are the main markets for Ceylon Cinnamon. Colombia, Ecuador, Peru, Spain , Guatemala, Chile and Bolivia are the other countries which consume a considerable amount of Ceylon Cinnamon.